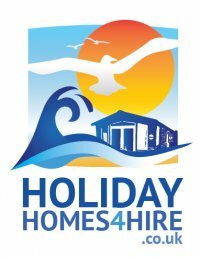 Stunning Platinum top of the range luxury holiday home located on Reighton Sands Holiday resort in between Bridlington and Scarborough, a fantastic Haven family holiday resort with direct access to the beach. The holiday resort has everything you need and is a truly lovely place to relax while the children enjoy themselves. Reighton sands also has its own large grocery store where you can buy everything you need to cook a proper meal to purchasing you BBQ items and of course bottle and cans of the smiley stuff. En-suit bathroom and large shower, 2 shower rooms in total. Placed in a cul-de-sac so no passing traffic with a communal grassed area directly in front of the holiday home. Lovely clean and spacious caravan. Kids and dog love the use of the balcony. Great location, close to all the amenities and the beach. We have stayed twice now and definitely plan to come again. We have stayed here several times now and the quality, service and cleanliness is unbeatable. Andy is an extremely pleasant person and will go out of his way to ensure you have a great holiday. The resort is lovely and well kept great for all whatever your age. Roll on next season we will be back :) Thanks Andy. Caravan was stunning and extremely clean and spotless. A lovely van and stay close enough to all amenities, would recommend and defiantly book again. This is our second time booking through Andy. Lovely, spotless, high spec caravan with incredibly comfortable beds! Close enough to amenities for children to have some safe independence and great for dogs walking. Wouldn’t hesitate to book again and would highly recommend. Reighton has everything you could want. Golf on a morning beach on an afternoon and a specific area for dog walking :)) As for the caravan and Andy Mullins - absolutely superb. Caravan is immaculate and the customer service is second to none. I have stayed in this caravan twice and would recommend to anyone that they do not hesitate to book!! Stunning caravan! Spotlessly clean, lovely site, this is the second time I've booked with Andy, and will highly recommend him and his vans to anyone! Brilliant thank you.